The days of the gas-guzzling sport utility vehicle are over, and some of the best gas mileage SUVs have the same shining “H” on the front. Honda’s three crossover SUVs all have something unique to offer Hampton Roads drivers, but they also have quite a bit in common. To begin with, their fuel economy numbers put competing crossovers to shame. Let’s take a closer look at the HR-V, CR-V, and Pilot before you take advantage of our current financing offers and drive one home. 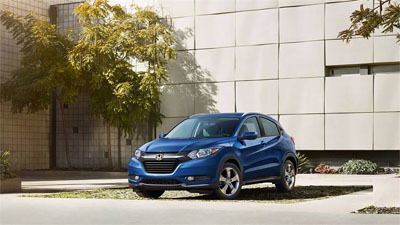 The newest model in the Honda lineup, the 2016 Honda HR-V is the first model year of the new compact crossover, and we hope that by its compact crossover name, you already know it will be one of the most fuel-efficient family vehicles on the market. A 4-cylinder engine delivers power and efficiency, and each of the available trim levels can be had with all-wheel drive. 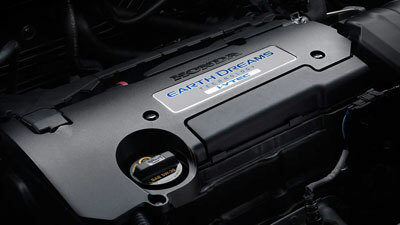 Under the hood of a 2016 HR-V is a 1.8L 4-cylinder engine capable of 141 hp and 127 lb-ft of torque. 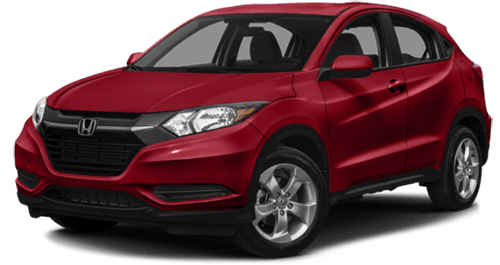 In addition to being one of the best gas mileage SUVs available, the new HR-V has a suite of advanced tech features that come standard on the basic LX trim. Amenities like remote entry, Bluetooth for phone and audio, a multi-angle rearview camera, and the Honda Magic Seat would often cost more on competing models, but they are all standard here. The CR-V kicked off the crossover revolution in the 1990s, and it’s been leading the pack ever since. 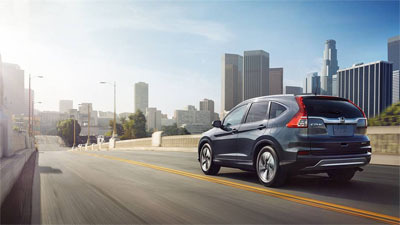 The 2016 Honda CR-V takes what drivers loved about that original model—its practicality, its versatility, and its affordability—and brings them up to modern standards. That means high-tech features, advanced safety technology, improved power and fuel economy, and just enough towing capabilities for when you need to haul something extra-large. A 2016 Honda CR-V features a 2.4L 4-cylinder engine capable of 185 hp and 181 lb-ft of torque. 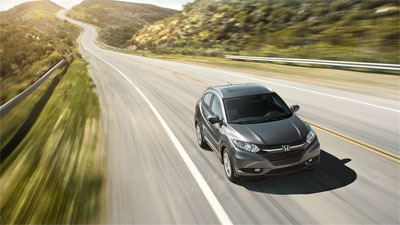 If you need to tow, the CR-V can handle as much as 1,500 pounds when properly equipped. Like the story of Goldilocks, the CR-V is the middle crossover that some drivers would say is “just right,” but some need the smaller and sportier HR-V. And others need the full-size 2016 Honda Pilot, capable of seating as many as eight passengers. 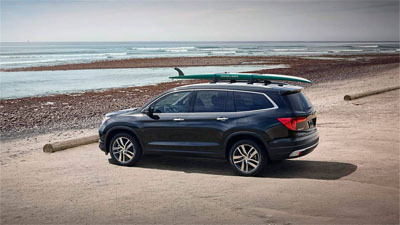 With five trim levels and your choice of front- or all-wheel drive, the Pilot is one of the most popular family vehicles in the Hampton Roads area. 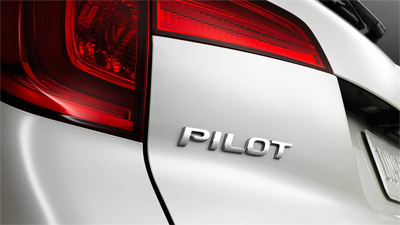 There’s no one thing that draws drivers to the Pilot, but its engine specs help make it one of the best gas mileage SUVs. So let’s start there. 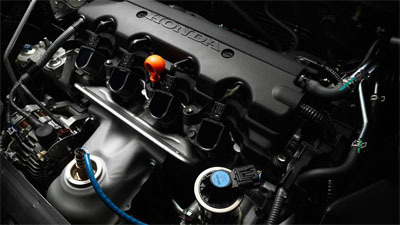 A 280-hp 3.5L V6 engine powers both Pilot 2WD and AWD models, and it kicks out 280 hp and 262 lb-ft of torque. Put that power to work by towing 3,500 pounds on 2WD models and 5,000 pounds on AWD models. The Honda Sensing suite of safety features can be added onto EX and EX-L trims, coming standard on Touring and Elite trims. 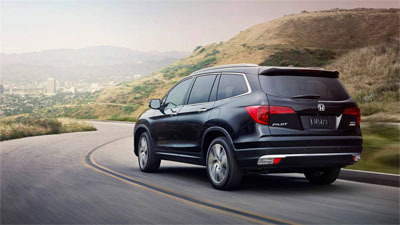 Any 2016 Honda Pilot with Honda Sensing has earned a 2016 Top Safety Pick+ award from the IIHS. ** And when it comes to features, expect the same level of tech as the HR-V and the CR-V.
We want to help you find an SUV that’s easy to fit into the family budget. 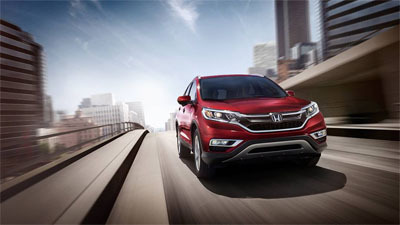 Visit a Hampton Roads Honda Dealer near you today for a test drive of one or more of these SUVs. *Based on 2016 EPA mileage ratings. Use for comparison purposes only. Your mileage will vary depending on driving conditions, how you drive and maintain your vehicle, battery-pack age/condition, and other factors. **The 2016 Accord Sedan with Honda Sensing™, the 2016 Accord Coupe with Honda Sensing™, the 2016 Pilot with Honda Sensing™, and the 2016 CR-V Touring have been awarded the coveted 2016 TOP SAFETY PICK+ rating from the Insurance Institute for Highway Safety (IIHS) in recognition of their superior crash safety performance. ***For more information, visit Kelley Blue Book’s KBB.com. Kelley Blue Book is a registered trademark of Kelley Blue Book Co., Inc.